As you walk into the room, you notice a distinct feel. The room is a small room- its just large enough to fit a long table, a couple of cabinets and a few uncomfortable chairs. The walls are painted white as if to give the impression of cleanliness, except of course for the old tile that is on the floor. The floor tiles have a certain school meets hospital look about them. When you sit on the table, paper crinkling underneath, you hear the door shut. The door, although a light door, sounds of heaviness. It shuts with a roar and a seemingly endless echo. Suddenly the waiting game has been ushered in with a roar but continues with silence. As you wait for what seems to be hours, you are helpless. The whole time you begin to wonder, why can’t the doctor be on time for their appointment. A minute turns to two and ten minutes turns to twenty. The passing time accentuates your lack of control and inability to do anything other than wait. 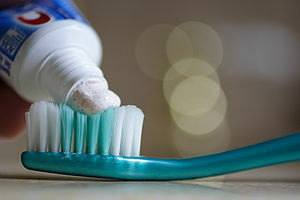 We’ve all been there- helplessly waiting for the doctor, the job, graduation, that last bit of tooth paste to be released from the toothpaste tube, a diagnosis, the promotion, a spouse, a baby, a friend, retirement or financial freedom. The possibilities of what we wait for are endless. As my family and friends could attest, I am not a patient waiter. I am a person who likes to be active, who likes to make things happen. I see my ability to organize and lead, or make things happen, as gifts from God. Waiting, feels to me, is the exact opposite of making things happen. A person like me feels that waiting is equivalent to suffering. Therefore, I wrestle with the gifts that God has given me and the reality that God at times requires us to wait. In fact I understand that waiting can be a valuable tool. It can strengthen our faith in God, in people or situations. Waiting can remind us that we are not ultimately in control. Waiting can increase our influence and develop our character in profound ways. As I continue to wrestle with the balance of waiting and doing, I’m curious to hear about a how you have dealt with waiting? Has there been a time in your life that waiting has strengthened your relationships with God or others? Thank you for your comment. I would agree that by waiting we are experiencing God’s grace and it helps us grow in ways that we may not otherwise grow. Knowing that waiting is an element of spiritual growth unfortunately does not make waiting any easier for me. So waiting for me is a necessary yet painful growing experience.